Back in the 1950s when Felix Jury was establishing the garden here, one of the plants he coveted was Magnolia Lanarth. He ordered it from Hilliers in the UK. History is a little vague as to what number and form the plant material took (scions or plants) but it included a seedling which, when it flowered after a number of years, was clearly not the solid purple flower of the chosen cultivar. No, instead it was very large and pale lavender pink and white. Enquiries from Hilliers established that it was most likely a cross between Lanarth and sargentiana robusta. Felix did manage to establish true Lanarth (Magnolia diary entries 1 and 4 have photos of the splendid specimen after fifty years), but the chance seedling proved to be the jump start for a breeding programme. Felix subsequently named it Mark Jury, for his youngest son and it has been distributed in the trade both in New Zealand and overseas. We have never promoted it widely ourselves. Although it makes a splendid large tree for a park, we think the next generation are superior garden plants. 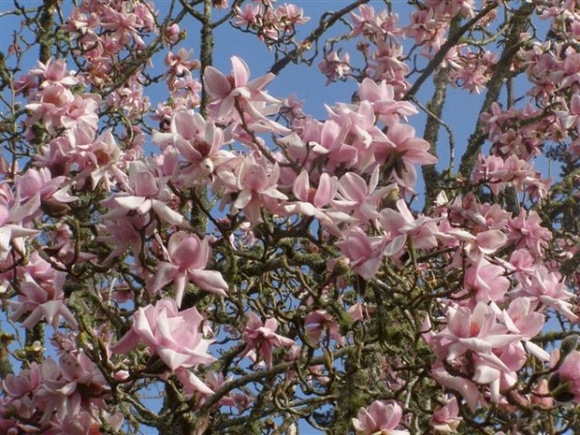 From Magnolia Mark Jury came Iolanthe (ref Diary 7), Milky Way, Lotus, Athene and Atlas (all involving forms of lennei) which are all flowering now. Apollo too is flowering (this one does not have Mark in its lineage, being thought instead to be a liliiflora nigra hybrid crossed with Lanarth). Picking favourites is all about taste. Iolanthe has an exceptionally long flowering season and a large flower with good colour here (though we were disappointed at how it looked in Switzerland at Eisenhuts and it does not appear to be the stand out performer in the UK and Europe that it is here). Lotus has a perfect form in pure cream but can take 5 or 6 years to settle into good flowering. Athene has blooms which in our eyes are simply beautiful. Atlas had the largest flowers imaginable until rivaled by Felix. Apollo is our best purple so far. Milky Way is just an all round top performer. What more can we say? Felix’s legacy is still remarkable. This entry was posted in Magnolia diary and tagged Apollo, Atlas, Felix Jury, Iolanthe, Jury magnolias, Magnolia Mark Jury, Mark Jury, New Zealand magnolias on 29 August 2009 by Abbie Jury.